Beat the eggs using 1/4 tsp pepper powder and keep it aside. Combine muringayila, grated coconut, small onion, green chilli, turmeric powder and salt with hands. Heat oil in a pan add mustard seeds and rice, when its starts crackle add curry leaves. 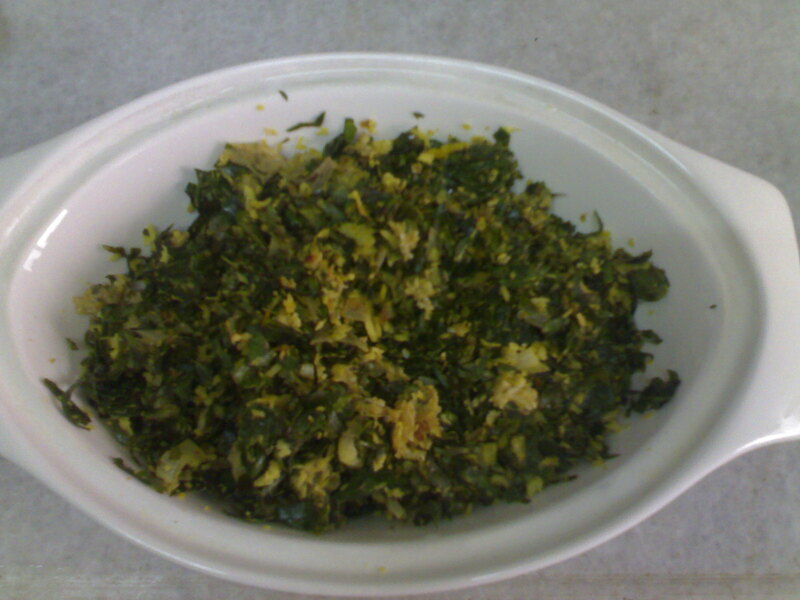 Add prepared drumstick leaves mix. Sauté well. Keep cover and cook for 2-4 minutes. Uncover and make a small well in the middle of the spinach and pour the beaten eggs. Stir well. Cook for another 5 minutes. Serve hot with rice. I like this stir fry n make a different version sometimes as i have a drumstick tree in my garden.